Relationships Love Language: Relationships Love Language ~ Slideshow: EASTER ~ JESUS ~ Resurrection of Our Lord ~ JESUS IS ALIVE! Relationships Love Language ~ Slideshow: EASTER ~ JESUS ~ Resurrection of Our Lord ~ JESUS IS ALIVE! Jesus Washes the Disciples’ Feet ~ Last Supper. The Passover with the Disciples. Institution of the Lord’s Supper. Judas to Betray Jesus. Matthew 26, Mark 14, Luke 22 ESV. 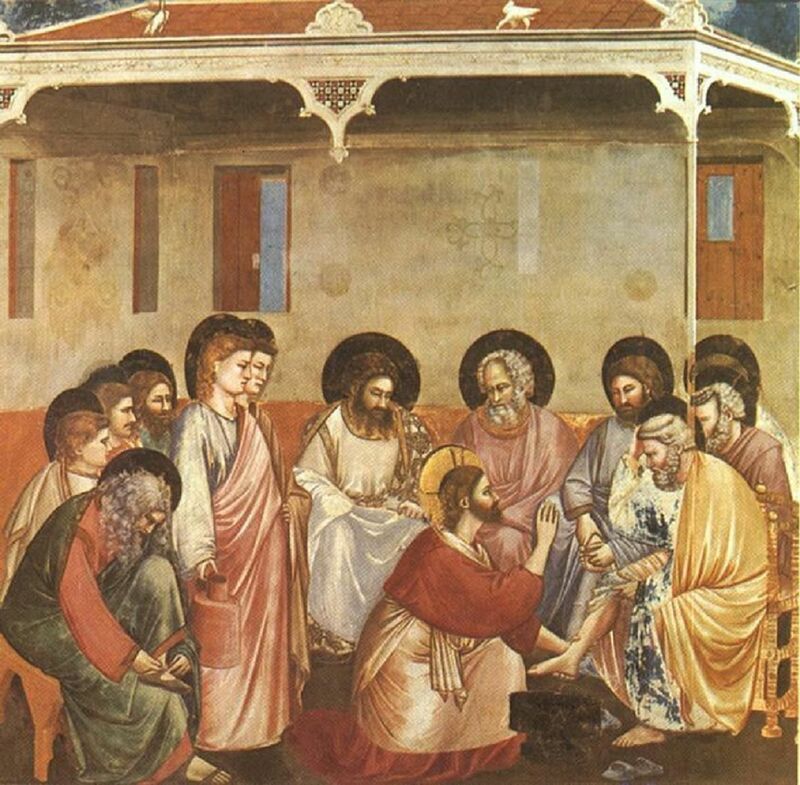 Jesus Washes the Disciples’ Feet. ....12 When he had washed their feet and put on his outer garments and resumed his place, he said to them, "Do you understand what I have done to you? 13 You call me Teacher and Lord, and you are right, for so I am. 14 If I then, your Lord and Teacher, have washed your feet, you also ought to wash one another’s feet. 15 For I have given you an example, that you also should do just as I have done to you....John 13:1-20 ESV.Christ Reasoning with Peter, by Giotto di Bondone (Cappella Scrovegni a Padova).